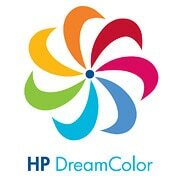 HP Press Kit: Do You Dream in Color? HP unveils unmatched, powerful computing solutions for creative professionals at SIGGRAPH 2008. Los Angeles Convention Center, Los Angeles, Calif.
Aug. 12 – 14 9:30 a.m. to 6 p.m.
Tech Talk presented by HP and DreamWorks Animation on Tuesday, Aug. 12, at 1 p.m. PT in Hall G, Room 2.